Make a traditional quilt with Non-Traditional piecing! 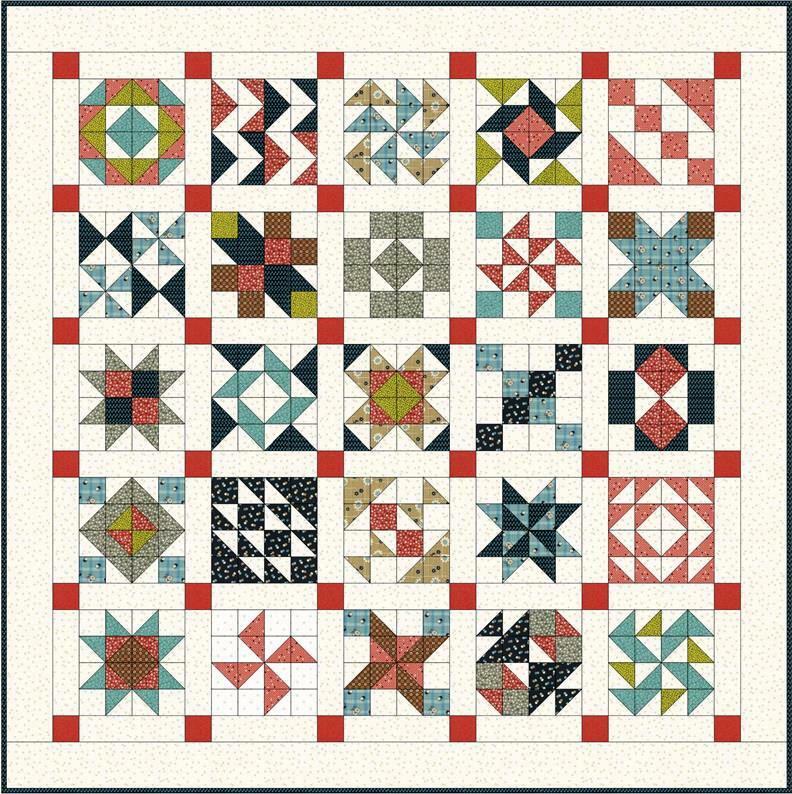 Complete the sampler quilt (see below) with NO strip piecing. Amazing 2” finished squares. Enjoy perfect corners and stable, flat blocks every time. Great points! Use Easy Piecing Grid foundation to make your heirloom. Learn some great ways to make half-square triangles. Carmen has many tips to help remove the frustration often experienced in cutting triangles and matching points! 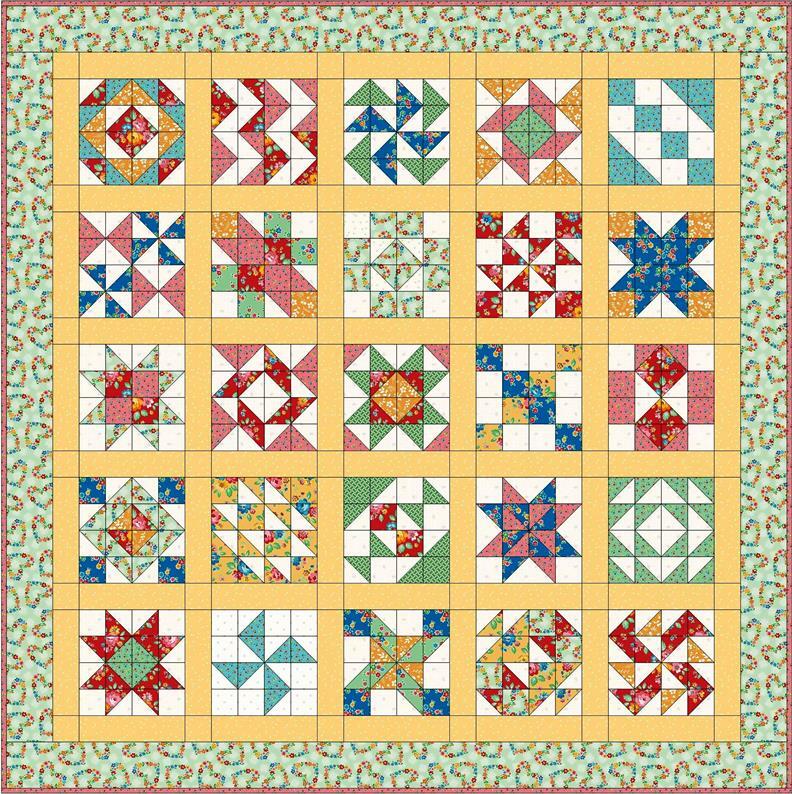 Kit Fee includes: 6 panels of Easy Piecing Grid, quilt pattern, step by step instructions. Look at the quilt pictures; cut 2 1/2” squares and make 2 1/2” half square triangles. These will finish at 2”. There will be instructions on several ways to make half-square triangles in class. Register for either class at the February 21 membership meeting or before by contacting Linda Murphy lmgmurphy@outlook.com. Class registrations will not be guaranteed until the fee is received.